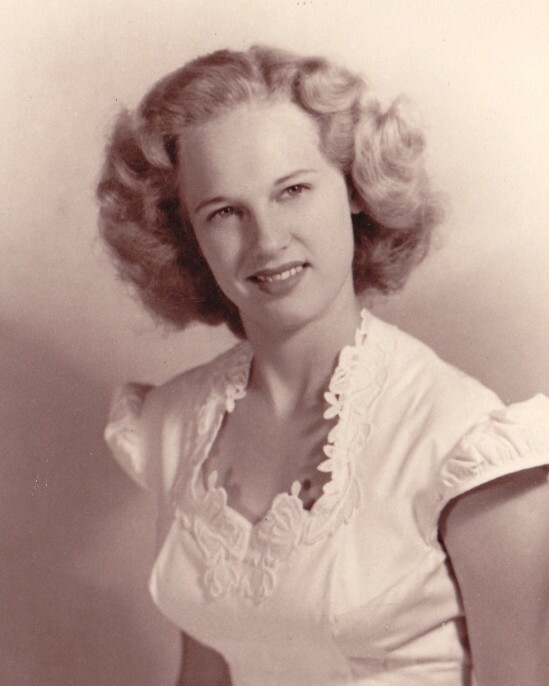 Ellen Pickett was born on April 4, 1930 in Woodsboro, Texas and passed away at her home on November 15, 2018. She was raised in Hull, Texas by her loving parents, Horald V. Watson and Allene Allen Watson. She graduated from Hull-Daisetta High School and attended Lamar College School of Business where she sang in chorale and was a thespian. She married Benjamin Ellis Pickett, Sr. on January 21, 1949 in Liberty, Texas, where they raised a family in what was known as her happy, yellow home. Ellen's husband Ben, her parents, sister Mary Ann Calhoon, brother Horald Watson predeceased her. She is survived by her four children who she loved without restraint; Benjamin Ellis Pickett Jr and his wife Deborah Pickett, Laura Pickett Calfee and her husband Gary Calfee of Driftwood, TX, Lisa Pickett Edmonds and her husband Clay Edmonds of Anahuac, and Amy Pickett Leibman and her husband Neil Leibman of Houston. She was equally proud of her grandchildren; Amy Lynn Hoffman, Russell Pickett, Marisa Wilber, Beau Henry, Madison Leibman, Adrianne Leibman, and Andrew Leibman, along with six great grandchildren: Avery Shiver, Abbigael Hoffman, Victoria Pickett, Lauren Pickett, Cormac Henry and Remy Wilber. With her family, she lived a happy life filled with books, birding, gardening & travel and was invigorated by nature, being instrumental in many beautification projects in her beloved Liberty. After years of raising children, she began her life long career of devoted service to her community. From 1966-68 she served as secretary of the Immaculate Conception Church. She was a founding member and the first Chairman of the Liberty County Historical Commission, for which she received the Chamber of Commerce Distinguished Service Award in 1968. She became the Director of the Liberty Municipal Library when the Geraldine D. Humphreys Cultural Center was built in October 1970. She engendered her love of books, most importantly through many active programs for children of all ages. She was very active in the Texas Library Association. Her dedication and talents were recognized and celebrated in 1993 when she was named, Library Director of the Year, by the Texas Municipal Library Directors Association. Mrs. Pickett was a member of the Daughters of the American Revolution. She was also a member of the choir and Altar Society of the Immaculate Conception Church and she enjoyed her years with the Trinity Valley Players. In her senior years, Mrs. Pickett was active and served on the Board of the Liberty Senior Citizens Center. Visitation will be Sunday November 18, 2018 from 4-6PM at Allison Funeral Service, 1101 N. Travis Liberty, Texas. A funeral Mass to be held at 3PM Monday at Immaculate Conception Church, Liberty. Burial to immediately follow the mass in Liberty Catholic Cemetery. Condolences and memories can be shared online at www.allisonfuneralservice.com. Donations in her memory may be made to the Liberty Municipal Library Memorial.